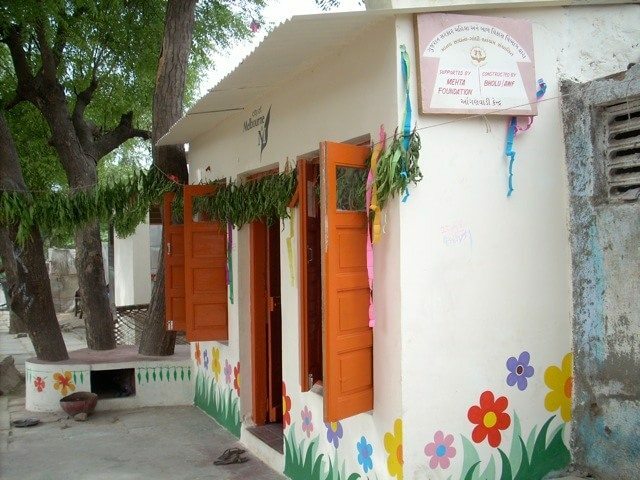 Bholu 5 was donated by local residents and is shared as an anganwadi during class hours and used as a household outside these times. 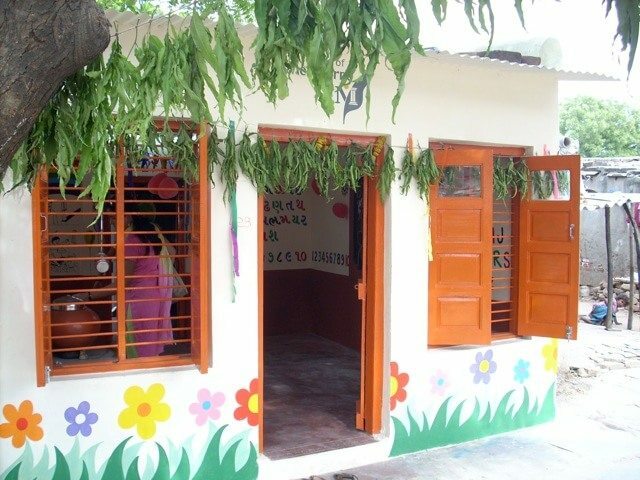 Bholu 5 is a wonderful example of how simple and clever design interventions can make great changes in the children’s learning space. The outdoor area and wash area was extended and improved to give the children more space and high level ventilation grilles, recycled decorative windows and fans were incorporated to create an airy and light-filled room. Due to the quiet nature of the site, the class is sometimes conducted outside under the shade of these trees, allowing a connection to nature.